Dance-a-Thon 2018 was a huge success! WE SKYROCKETED PAST OUR $15,000 GOAL AND RAISED OVER $21,000! The funds raised for the Friends of Peterson will be used to fund arts enrichment and technology at Peterson School. The Friends of Peterson, which works to provide opportunities for all students at Peterson, has funded more than $250,000 worth of books and curriculum, music and sports equipment, teacher training, art and language programs, and field trips for students during the last four years. Friends of Peterson is an Amazon Smile partner! 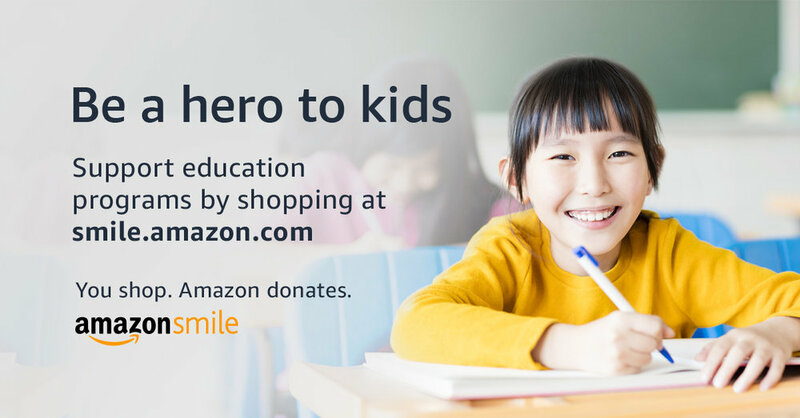 At no extra cost to you, every purchase you make through Amazon Smile will also be a small donation to Friends of Peterson. Start by just clicking here or below! Peterson students danced their way to $16,000! Peterson Students danced their hearts out and raised over $16,000 for the Friends of Peterson (FoP) and Peterson's Parent Teacher Association (PTA) in order to benefit our amazing students! The funds raised for the Friends of Peterson will be used to update and expand classroom libraries and pop-up libraries at Peterson School. The Friends of Peterson, which works to provide opportunities for all students at Peterson, has funded nearly $170,000 worth of books and curriculum, music and sports equipment, teacher training, and field trips for students during the last three years. In addition, the FoP has provided financial support for the Arabic program. The PTA raises funds to provide community-building events that celebrate the skills and diversity of our students. These include our annual International Night, Family Movie Night, and Unity Through the Arts & Sciences. The PTA also funds school groups like the Green Team which supports our school gardening, recycling, and composting programs. For more information about the PTA, please visit www.peterson.cps.edu/pta/.